What’s the next big thing in mobile? 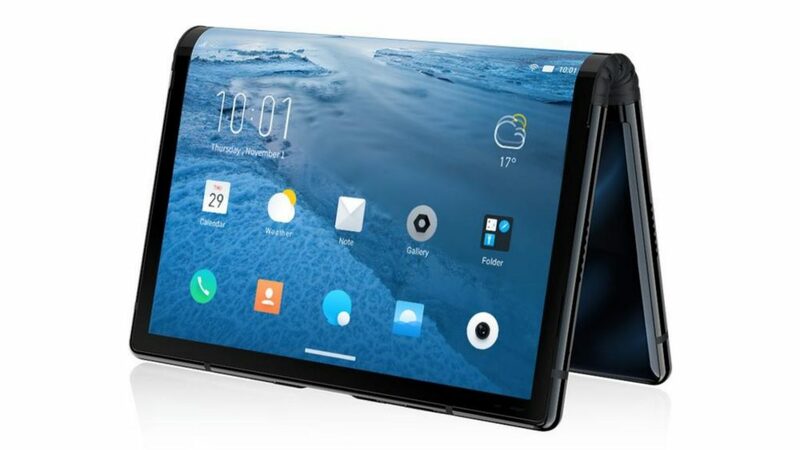 – a foldable phone. 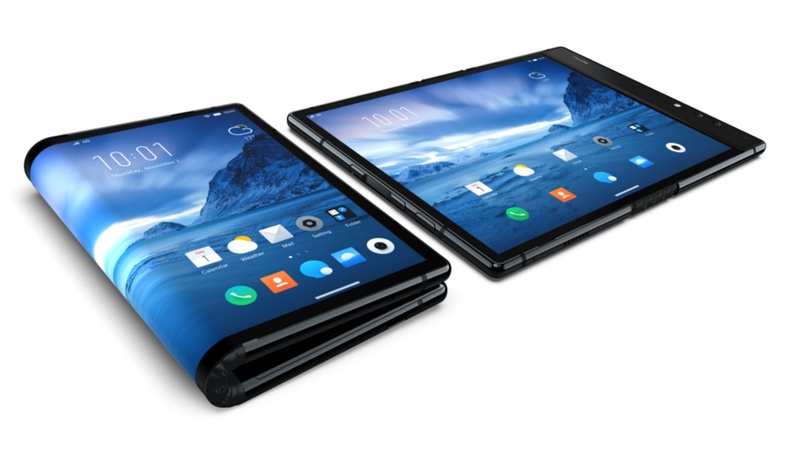 We had initially thought that South Korean manufacturers LG and Samsung were leading the way in bringing foldable devices to market, but it looks like a relatively unknown company has beaten both of them to the punch. The company in question is Royole and their flexible display-touting device is called the FlexPai. This device is not strictly a smartphone, with Royole noting that it’s “tablet-sized”. More specifically it features a 7.8″ display, 4:3 aspect ratio and 1 920 X 1 080 screen resolution. As for the flexible component the FlexPai features a hinge on the back of its body, which allows the device to fold up once to 180 degrees. 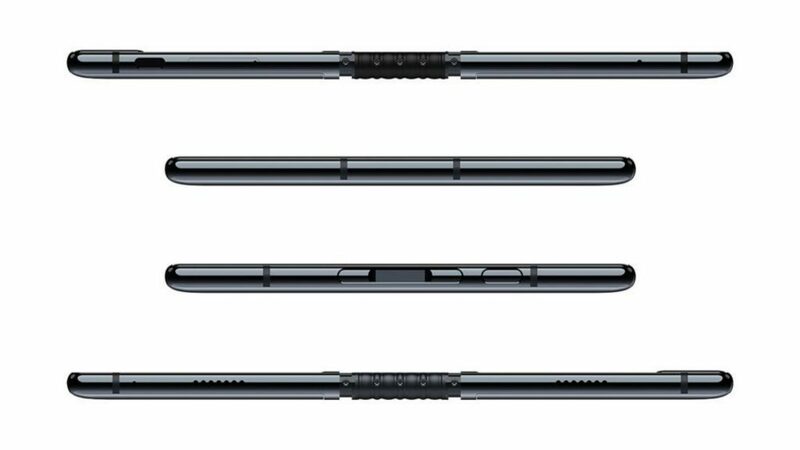 It kind of reminds us of the fulcrum hinge that Microsoft debuted on its Surface Book notebook, so there is a bit of a gap where the fold happens, creating a slight wedge shape to the FlexPai when it’s in folded mode. The folded mode then turns the device from having one screen into three. There is the front and back option, along with an edge one that features a scrolling feeder with information akin to what Samsung did with its Galaxy Edge smartphones a few years back. Looking through the rest of the specs, the FlexPai seems to feature most of the same components that 2018’s other flagship phones sport. More specifically an octa-core Qualcomm Snapdragon 8 series (CPU model not confirmed) is powering things, with 6GB or 8GB RAM configurations and the choice of 128GB and 256GB onboard storage models for now. There’s also a 3 800mAh battery on offer, but given the size of the display, it should be interesting to see what kind of battery life it yields. So how much does the FlexPai cost? Well Royole is selling the 128GB model for $1 318 (~R18 877). Not factoring in import costs, that price is about on par with what local consumers would pay for a flagship phone. Unfortunately though, it will prove quite difficult to bring into the country as stock is limited and the device has not gone through the local regulatory bodies for approval. As such we’ll have to wait and see what LG and Samsung’s foldable phones are like. If they look anything like the FlexPai, you may want to hold off on getting one just yet, until all the design kinks are ironed out.